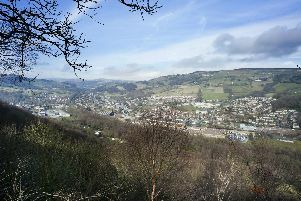 Leaving a home empty for more than two years in Calderdale will cost you more following a decision to increase the Council Tax premium levelled on them from 50 per cent to 100 per cent from 2019-20 onwards. Calderdale Council’s Cabinet agreed to the move when formally calculating its Tax Base for next year’s budget. The move will bring in the council another £300,000 a year. Cabinet member for Resources, Performance and Business Change, Coun Jane Scullion (Lab, Luddenden Foot) explained the council has to work out its Council Tax base every year. The figure formally arrived at is the number of Band D properties in its area, and the figures also take in other Bands. The Band D figure all councils work to shows that in Calderdale the income to it from a single £1 Council Tax on a Band D property would be £61,993.90 – the actual amount being higher depending on the rate councillors eventually agree to set with Budget Council set to be held on February 25. The rate also allows bases for the areas which also have town and parish councils to be calculated. It also has to take into account other factors including new homes, exempt dwellings, for example homes left empty by people in hospital, homes subject to reduced banding following appeals, properties moves to a lower band for specific reasons, such as a home adapted for a disabled person’s use, the number of single occupancy homes which are subject to a 25 per cent discount, the number of properties which are in receipt of Council Tax reduction and Council Tax which has not been collected. Members agreed to prove the base and the increase in Council Tax on homes left empty. The briefing paper prepared for them by council officers said the initial 50 per cent empty homes premium for those left empty for more than two years had been introduced to send a clear message to owners that it was not acceptable to keep properties empty. As well as recommend the increase officers say that in future years the council will potentially be able to increase the premium again for properties empty for five years or more.